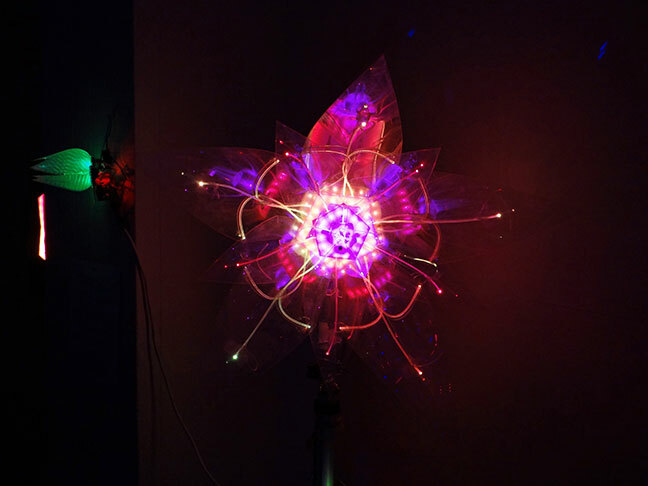 Sustainable Magic's art was recently featured with six other local SF artists in a techie/electronic art show, "Accendo Nox," at Satellite 66 Gallery. Review by ArtBusiness.com picks Sustainable Magic flowers as their "pick," noting that "there's good work all the way around." Original ArtBusiness.com article excerpt bellow. Satellite 66 Gallery, 66 Sixth Street, San Francisco, CA 94103: Accendo Nox. Artists: Sean Stevens and Ashley Newton (aka Sustainable Magic), Liz Mamorsky, Craig Dorety, Ray Sykes, Jonathan Foote, Richard Humphrey. 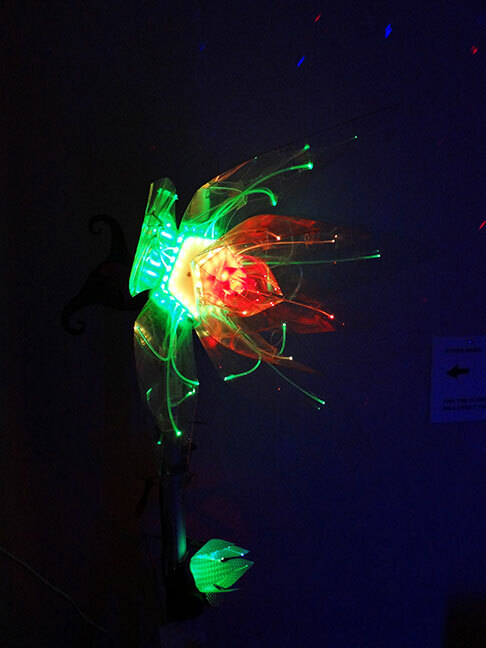 Comment by AB: Closing event for this show of art that incorporates light and electronics. 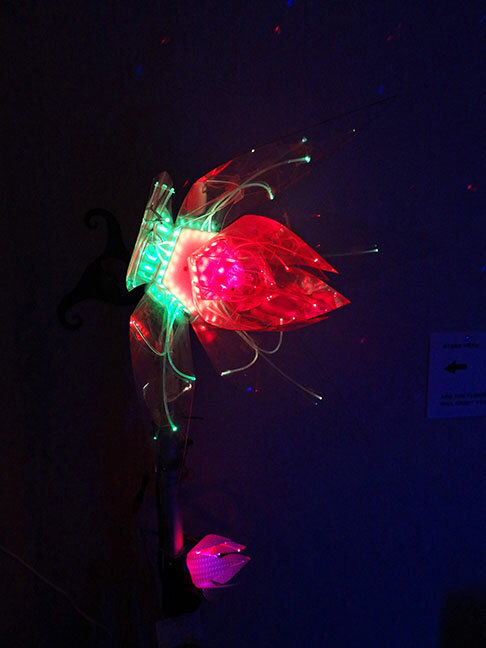 Kaleidoscopic mechanical flowers that bloom on the wall are my pick, though there's good work all the way around. Long view - group light & electronics show at Satellite 66 Gallery. Read the rest of the article (including more pictures of other art featured in the show from other artists) at ArtBusiness.com (scroll part way down page).